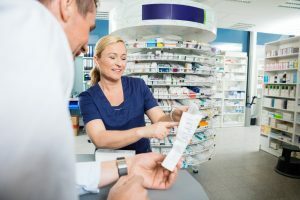 Community pharmacy contractors can choose to provide any of these services providing they meet the requirements set out in the NHS Wales regulations. There are variations to the current arrangements in England and these are listed below. The Medicines Use Review (MUR) service includes medicines use reviews undertaken periodically, as well as those arising in response to the need to make a significant prescription intervention during the dispensing process. The service consists of accredited pharmacists, who have successfully completed a competency assessment, undertaking structured adherence-centred reviews with patients on multiple medicines, particularly those receiving medicines for long term conditions. As of 1st October 2018, WCPPE will be part of the new organisation Health Education and Improvement Wales (HEIW) . Note: WCPPE is not responsible for the content of any non-WCPPE websites referred to or for the accuracy of any information to be found there.